Along with growth and expansion, businesses are faced with challenges each day to enhance and maintain their company’s image and brand. Two such Louisiana companies share similar commitments and passions, yet are very different. 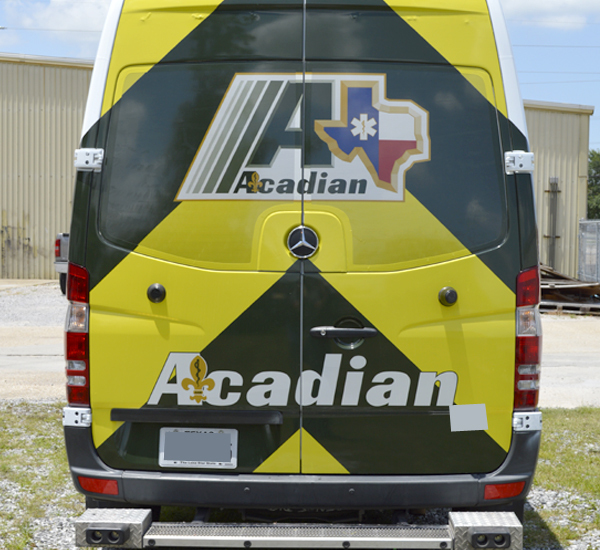 Acadian Ambulance and Pixus Digital Printing conduct business in an area known for family-centric culture, strong community ties and hard workers. 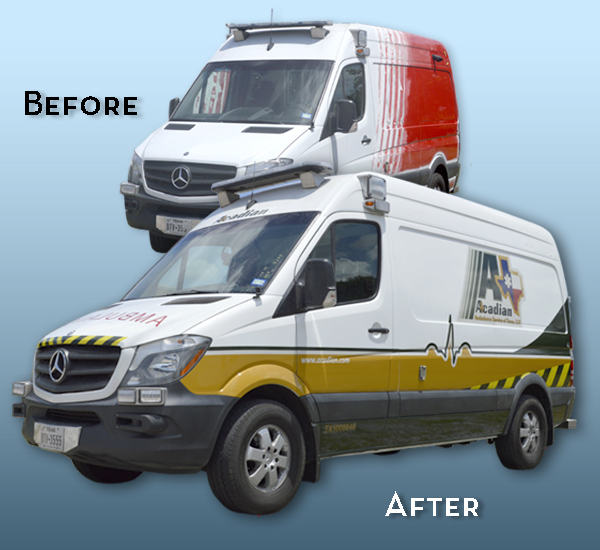 Pixus Digital Printing much like Acadian Ambulance has grown out of community necessity. 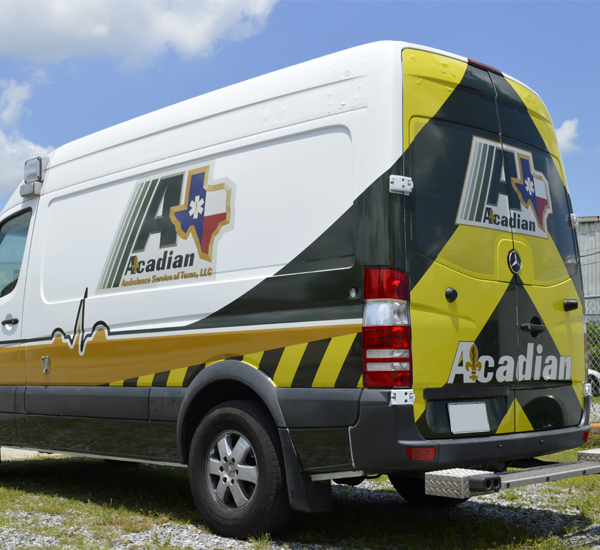 Recently, Pixus Digital Printing received the go ahead from Acadian to replace existing exterior graphics of thirty ambulances from a recent acquisition. Then the challenge! Apply 30, incredible vehicle wraps in 30 days. Thirty vehicle wraps in thirty days posed no match for its large-format digital roll printers and installers. Around the clock printing of 3M adhesive vinyl became necessary to maintain pace with 30 wrappings. Ambulances were well cleaned, prepared, and vinyl wrapped with fresh vinyl graphics. Mission accomplished! Why choose Pixus? Here are a few good reasons!